Almond Jelly Cream | Badudets Everything Nice! Starbucks Frappuccino for only 100 pesos! 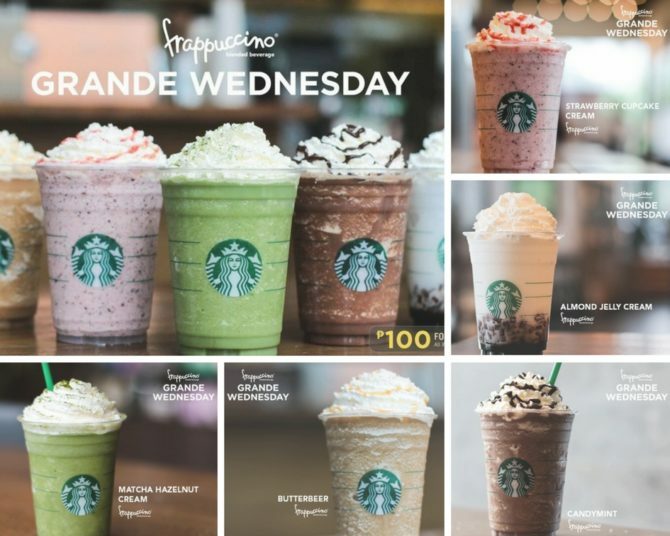 Starbucks Philippines is making this summer heat bearable, at least every Wednesdays of May, with their Starbucks Grande Wednesdays promo. Avail of special customized Frappuccino blended beverages for only Php 100 for a Grande (16oz.) size all Wednesdays of May, from 3 pm to 6 pm.